The Divine Liturgies of St. John Chrysostom and St. Basil the Great. Every adult and teenager in the household should have their own pew book! Byzantine Daily Office – the daily prayers of Matins, the Hours, and Vespers, with the correct Proper Prayers (Troparion, Kontakion), for each day of the year, sent directly to your smart phone, computer, or pad, from Eastern Christian Publications. Sacred Scripture; information on the month’s saints’ days; and photographs of ancient churches. These titles of books and DVDs should be on your bookshelf, and read frequently, so as to deepen your understanding of the gift we have been given in the Byzantine Catholic Church, and to help develop laity who will fulfill the wishes of the Our Lord that we be strong in Faith and that we proclaim this Faith! 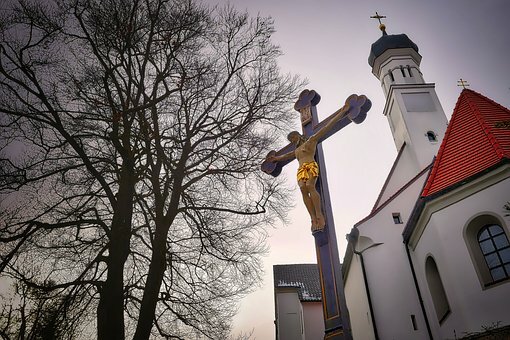 101 Questions on Eastern Catholic Churches. 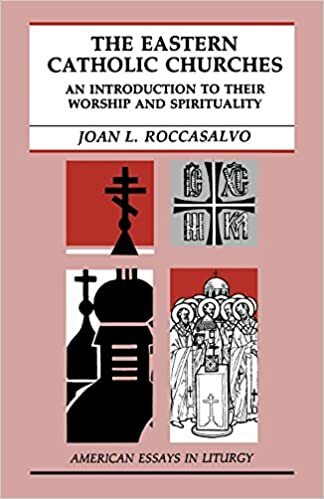 This book is exactly what it claims to be, and does a good job of providing good answers to all those questions that arise about just what an Eastern Catholic is, how we pray, and how we fit into the Universal Church. Eastern Catholics in the United States of America This little (32 pp) book comes from the United States Catholic Conference of Bishops: who could ask for a better reference to answer the eternal question: “Are you really Catholic?” It’s a good booklet to give to the relatives, co-workers, neighbors. Provides an overview of the four dominant Eastern Catholic traditions in the US: Antiochian, Alexandrian, Armenian, and Byzantine. 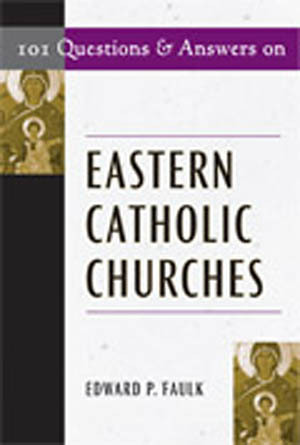 Uses the encyclical Orientale Lumen as its building block “to promote a greater understanding of the experience of Eastern Catholics in this country.” This book is inexpensive but attractive enough to both put into parish vestibules or provide for parishioners to keep a few on hand at home for those inevitable questions. One of the classic works explaining Byzantine Catholic spirituality, written by the famous Archbishop Joseph Raya. A book to read over and over again. The spiritual and cultural dynamics of early Christianity which eventually gave rise to the art of the Byzantine Icon are presented in this DVD. 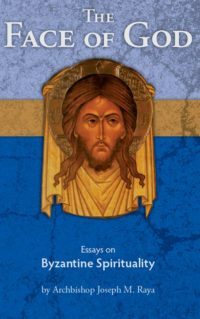 Offers the viewer a more mature understanding of Byzantine Icons by providing the foundation upon which the terminology, concepts, and theology of iconography are based. he renowned and beloved Icon of Christ graces the cover of this booklet while the words within provide an inspiring meditation. An excellent addition to your personal prayer and reflection time. Consider for use in a prayer or study group; purchase as gifts. Excellent gift to parishioners for Pascha, First Sunday of the Great Fast, Parish patronal Feast Day, a Feast of Christ Incarnate, Father’s Day, parishioner anniversaries, purchase the set—Christ the Savior (GW158152) and Mother of God (GW018169) as a gift for a couple at Crowning, etc. A little outdated, but still a good overview of Eastern Catholicism in the USA, covering the main Churches which follow the Byzantine Rite. MORE TITLES AND LINKS WILL BE PROVIDED SOON! Radio is not outdated. It remains a primary vehicle for evangelization in the Southern Hemisphere, and via the internet everywhere. The internet, of course, is not just for streaming live programs, but for listening at anytime, anywhere. And Father Loya’s show is one of the best there is, not just among Byzantine Catholics, but all Catholics. You can access it here: http://byzantinecatholic.com/podcast/ as part of the Annunciation (Homer Glen, Illinois) parish’s website, which has an archive of past programs. Father’s Apple podcasts can be found here https://itunes.apple.com/us/podcast/light-of-the-east/id910354650?mt=2. Catholic Under the Hood is a Franciscan broadcast, but it carries a number of shows with a distinctly Eastern Catholic flavor. Find more at https://catholicunderthehood.com/category/eastern-catholic. Prayer – we must pray daily to the Holy Spirit to ask His guidance! Recite the “Heavenly King” slowly and ask the Holy Spirit to enlighten you. If you have roommates, workmates, friends, and relatives who ask about our Church, our Byzantine Tradition, and the Catholic Faith, this is an invitation to speak well. If this is a regular occurrence, then pray this often to ask for help! Education – Get books for yourself: see the Byzantine Basic Bookshelf in the next posts for ideas. Our Byzantine Tradition has so many practices and rituals which speak to the soul, but we have to know what they mean! And the basics of the Catholic Faith are so important: read, attend Catholic Bible study, check out Catholic websites, and learn so as to teach. Samples are given on the Bookshelf page. Patience – One of the great virtues. Be patient: you do not know what seeds you have planted. One day, by grace, those seeds will grow and flourish in the souls of others. You may see it from Heaven, but it will happen! Rather than arguments, consider the value that those arguments appeal to. Look for the Christian ethic. Which other values is the critic ignoring, or has not properly taken into account? Consider how, very early in the discussion you can appeal to the value your critic is upholding. Even when up against an individualistic or utilitarian viewpoint, it is important to understand the value involved, name it, and s how that there are underlying principles to be agreed upon. Be charitable. People won’t remember what you said as much as how you made them feel. We are there to serve the truth – not by trying to defeat people or overwhelm them. Charity must be the key element always. The danger is that you will win the argument but lose the souls. An important principle when making the Church’s case against something is to be positive. Almost everything the Church says is because she wants to call people to the fullness of life, health, and sustainable prosperity. Being positive is not being “nice”. It is about bringing the discussion back to the positive vision of the Church. We invite society to a better way. We are against abortion because we are campaigning like the anti-slavery people did. Be the angel that point to the brighter horizon! The Church has answers to the moral questions of today! Think in triangles. Hone your thoughts down to the three important points you want to make. If you get two out of the three into the discussion you’ll be doing well. It’s important to marshal your thoughts into three points. Make a triangle of them. When in the discussion, think how does it relate to the triangles – then bring in your point. At least one point should address the positive intention behind the criticism. Know your facts, but don’t bounce statistics. It’s not 33% but one out of three; not 25% but one-fourth. Use those kinds of statistics only when needed. The immigrants who came from Austria-Hungary left behind their homes which quickly became the “stary krai”, or Old Country. Then Pennsylvania, New Jersey, Connecticut and Ohio became the new Old Country as people moved south and west, beginning in the 1950s. Father Eugene Chromoga was sent to Los Angeles with the names of two families. When he got off in Union Station, he found out that one family had moved. With the foundation of that one family, Father Chromoga went to work. 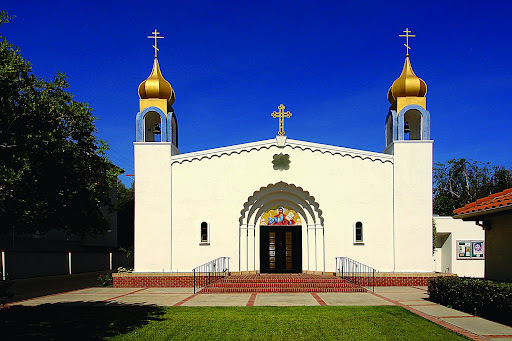 From their work, Saint Mary of the Holy Protection Church was established, and from that base missions and outreach stations grew to become parishes across the whole state of California. 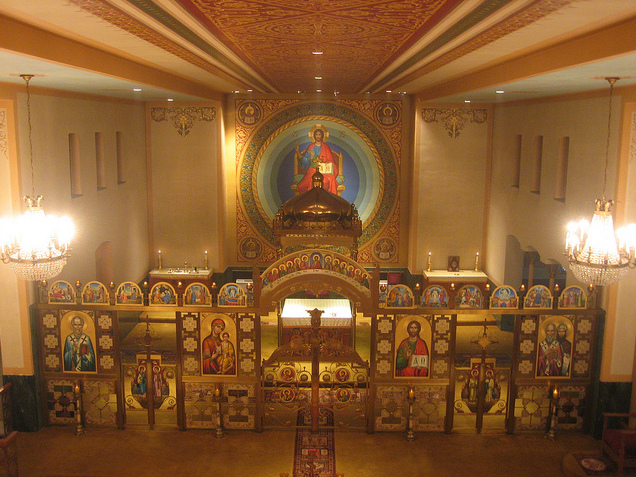 Saint Mary became the first cathedral of the new eparchy in the Western States founded in 1982. The mission experience in the Western States, which gave birth to our eparchy of the Holy Protection of Mary in Phoenix, was accomplished by the initiatives of laity who wrote to the bishop of the Parma Eparchy, which then had jurisdiction, and asking for priests to come to their towns and serve them. This is very much the role of the baptized: to work for the Kingdom of God! By 1985, parishes had been founded in the major cities of Alaska, Arizona, California, Colorado, Nevada, New Mexico, Oregon, and Washington. The expansion into these regions was successful. Now we need both a new expansion into new areas, as people continue to beg for priests in other locations, and an internal expansion of vision and fervor in existing parishes so as to reach out into the larger population. Vatican II teaches clearly that the Catholic home is a domestic church. The Christian family must be the family that prays together, so that it stays together. This is possible by having an active prayer life as a single person, a married couple, or a family. Ancient customs still speak to the modern soul! Ancient prayers awaken us to the living presence of God in each of our lives! People who are in love with God will be in love with each other and with their neighbor. But how do I introduce my spouse and children to an active life of prayer and living out the rituals and customs of our Church? 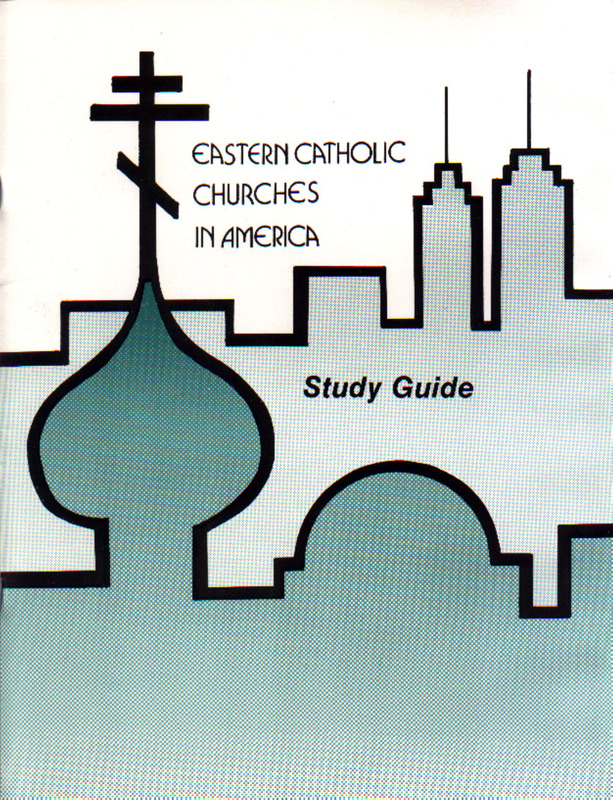 Widely used by Eastern Catholic and Orthodox Christians since its original publication in 1986, A GUIDE FOR THE DOMESTIC CHURCH has been reissued in a full-color updated version for another generation of Eastern Christian families. A kind of cookbook for Christian family life, A GUIDE FOR THE DOMESTIC CHURCH is an easy to read presentation of the Eastern Churches’ vision for the Christian home along with specific directions for those wishing to incorporate Byzantine spirituality into their home lives throughout the Church year. The second edition includes newly-available resources and recipes as well as links to online distributors and manufacturers of religious supplies. 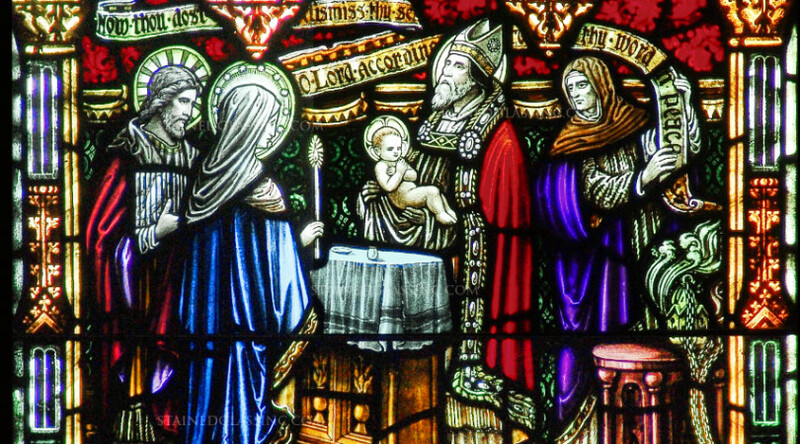 A GUIDE FOR THE DOMESTIC CHURCH does a wonderful job of explaining both the whys and the hows of Eastern Christian family practice, telling you where to find icons, lamps, incense, and so forth, and what to do with them. Here are suggestions to help in preparing for visitors. Within the first 30 seconds of entering a church, visitors will know if they are going to return or not. How you welcome guests in the entryway, and what you put there, is absolutely critical. Walking in to a new church can be intimidating. Have a person there. Greeting is so important. A greeter can welcome the visitor, give the parish handout material, and point them in the right direction. Ideally, a greeter knows certain parishioners who will be happy to have a guest seated with them, parishioners who are proud of their parish and willing to “show the ropes” regarding using the book, when to sit and stand, and how to receive Holy Communion. If the pastor welcomes guests at the close of the Divine Liturgy during parish announcements, then greeters can ask guests to sign their name on the paper going up to the altar. If the visitor does not want to be greeted, a good greeter will respect that wish instantly. This is no time to be pushy! An Icon Holy Card with parish name, address, website, phone number of the office stamped or printed on the back. Copy of the Divine Liturgy for visitors to use during the Liturgy. If giving out the green pew book, then make sure that the ribbon marking the day/ Tone is pointed out to them. If using the Byzantine Seminary Press paperback, point out that the music for the texts reflects common melodies, but not all of them. Now they’re in the door, and what should they do? Ask in advance for parishioners who are happy to host guests in their pew. Special note here: those parishioners should plan to be at the church 15 minutes before the Liturgy begins, not as the priest and servers enter the sanctuary! Greeters should be responsible and if they cannot serve on a particular weekend, they arrange for a substitute, or else inform the office a week in advance. An empty vestibule/ narthex is a dead one! Visitors come any day of the week, and if your church is open, here are suggestions to keep on hand. Bright, attractive handouts will do wonders! You can have it available for free in your pamphlet rack or on a table, while selling copies in your parish store. A Roman Catholic visitor is immediately assured that the church is indeed a Catholic one! Byzantine Seminary Press Leaflets. http://www.byzantineseminarypress.com/Byzantine-Leaflet-Series/ The Press has over 50 fold-out titles available. Ones appropriate to the season or holy day can be placed in a rack or on a table, such as “Blessing of Easter Foods” #2. If the parish patron is a title from the series, such as SS. Peter and Paul or Our Lady of Perpetual Help, then the pamphlet can be left out all year. Non-seasonal ones can also be kept out, such as “Veneration of Icons” (#16), “The Anointing with Holy Oil” (#10), “The Observance of Sunday” (#38), and “Prayers to the Blessed Mother of God”(#27). Holy Cards.Attractive holy cards can be purchased from the Seminary Press and imprinting done, or they can be made locally. During Great Lent, cards with the Prayer of Saint Ephrem; during Pascha Resurrection cards; at Christmas Nativity cards, etc. Newspapers. 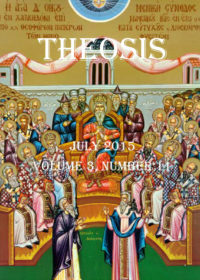 Every eparchy has its own publication. Buy extra copies which can be placed in the narthex. No more than three different issues should be kept, to avoid clutter. Registration Forms. Make it easy for someone to join the parish: put these forms right where everyone can find them! The goal is to empower both the clergy and laity of the Byzantine Catholic Churches to reach out to the unchurched and the fallen away Catholics and bring them to salvation through the power of the Holy Spirit, by discovering (or re-discovering) our Lord Jesus Christ, and being enclosed in the embrace of God the Father. The Catholic Church dates from the mission given by Jesus Christ to the Apostles at His Ascension into heaven: Go forth and baptize all nations (Matthew 28:19). The Church has kept an unbroken history ever since! The Byzantine Church is descended from the first Greek converts of Saint Paul in Asia Minor. Gradually the Byzantine Rite evolved, using Greek, and it became the dominant Rite for Christians across modern Turkey, Syria, Lebanon, Palestine, and Israel. In the ninth century, two brothers, Saints Cyril and Methodius, were invited to bring the Gospel to the Slavs of Central Europe. They translated Scriptures, Liturgies, and Sacraments into Old Slavonic, the mother tongue of most modern Slavs. Their disciples carried the Faith across most of Eastern Europe and the Balkans. Most Byzantine Christians became Orthodox after the splits in 1054-1204. In 1646 and 1652, a large section in modern Slovakia, Transcarpathian Oblast (Ukraine), and Hungary reunited with the Holy See of Rome in what is called the Union(s) of Uzhhorod. Based at the ancient eparchy (diocese) of Mukachevo, this the foundation of what we now know as the Byzantine Catholic Church (also called Greek Catholic). The New Evangelization is needed for the Byzantine Catholics of North America. At the heart of every culture, whether perceived or not, is a consensus about the nature of reality and the moral good, and thus about the conditions for human flourishing. In America, that consensus, as enshrined in your nation’s founding documents, was grounded in a worldview shaped not only by faith but a commitment to certain ethical principles deriving from nature and nature’s God. The key for all Catholic Evangelization is the liturgical life of the Church. With this, believers are nurtured in their faith. Should preaching be inadequate, or limited by a hostile state, the prayers of the liturgical year ring out the fullness of Catholic truth! Our own Byzantine Catholic Father David Petras writes of our current situation that “the recovery of the Divine Liturgy as evangelization is crucial to the life and health of the Church.”6He goes on to write that we must be able to respond to the hostile evangelization of the new atheism, and achieve Christian union, and the Liturgy teaches us how to do so. Only the Church has “good news” to proclaim to the world. Our Lord Jesus Christ, and the Church He established, has much to offer that will endure after the universe has ended: true union with God, the fulfillment of the individual soul in that union, and the glory of the unfading Beatific Vision. In the end, Father Petras writes, “The one Body and one Cup of the Blood of our Lord in the Divine Liturgy is the source and goal of this union, to achieve it will be the perfect gift of evangelization.” May it be so! Lord Jesus, come! 1 Orientalium Ecclesiarium, Number 3. 4 These “services” do everything to prevent both pregnancy and birth of a child, so how that can be “reproductive” boggles the ordinary person’s mind. 6 Edited by Father Christopher Zugger from the section “Some Conclusions” at Encounter 2012 http://www.davidpetras.com/page/chicago_encounter. For Byzantine Catholics, the 12th day of Christmas is the baptism of Jesus in Jordan, for Latins, it is when the magi, traditionally known as the Three Kings, come to worship Jesus as king of kings. They celebrate the Baptism on the Sunday after the 6th of January. I grew up in St John the Baptist parish in Kenmore, New York. In front of the church there are two life-sized statues of St John baptizing Jesus, with John pouring the water over his head. Every time I passed that monument, I remembered that this shows the moment in Matthew’s Gospel when the Father speaks: This is my beloved Son in Whom I am well pleased. The Father proclaims Who Jesus is – his eternal son, the second person of the trinity. One of sixty vv in NT that affirms Jesus is divine. 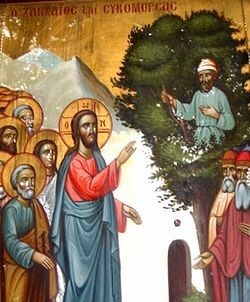 St Gregory of Nyssa: Today He is baptized by John that He might cleanse him who was defiled, that He might bring the Spirit from above, and exalt man to heaven, that he who had fallen might be raised up and he who had cast him down might be put to shame. Baptism, then, is a purification from sins, a remission of trespasses, a cause of renovation and regeneration. too the child of regeneration has nothing for which to answer, being released by royal bounty from accountability. And this gift it is not the water that bestows (for in that case it were a thing more exalted than all creation), but the command of God, and the visitation of the Spirit that comes sacramentally to set us free. But water serves to express the cleansing. Water is sanctified on Theophany. Fr Artur celebrated this last night for the holy water to take home, and then today going down to bless the Rio Grande river as in Europe the custom is to bless living water in a river or lake. Holy water is ordinary water that has been completely transformed by the power of the Holy Spirit. The prayer says: Come now and sanctify this water, and goes on to talk about how the water now serves as a protection against evil, healing for the sick in both soul and body, sanctification of places, for the gift of enlightenment. It is sanctified when the triple branched candle goes into the water, when the priest’s hand goes in 3 times, when the priest breathes 3 times, when the life-giving cross is put into the water three times. The whole ceremony invokes the Holy Trinity over and over again. The baptism of the Lord is the first big event recorded in the four gospels after the birth of Christ and His first forty days on earth. The Bible itself begins with the Spirit moving over the void, a wind from God[b] swept over the face of the waters. 3 Then God said, “Let there be light”; and there was light. Theophany is called a feast of light: the Spirit bringing light where there was darkness, and then moving over the waters of the earth. Holy water is so important that in the Byzantine rite it was the practice to bless water every month on the first day, because the people used so much of it. Now this is formally done still only on August 1, but it would be great to have the need to bless water over and over again because you used it so much. The holy water is kept near the church’s front door, available all year for those who need it. The clergy use it to bless houses, to bless cars, to bless icons and religious objects, to bless the casket at the end of life’s journey on earth. You can use it, to bless your children, every day if you want, putting them under God’s protection, to bless yourself daily. You can use it to bless a room after someone has bad dreams, to put in someone’s beverage when they’re sick, to bless after a fight or bad incident takes place, or a nasty person visits. When you travel and stay someplace, take a little plastic bottle of holy water with you and bless the room. Take water home, but use it! 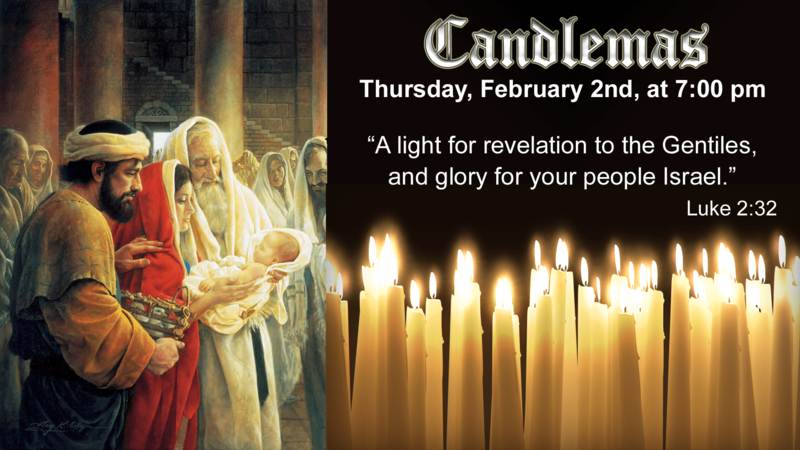 Invite Father to come and bless your house, and enjoy the ceremony as an opportunity for renewal and healing and blessing. All of these things are done so that by visibly partaking of the water we invisibly partake of the Holy Spirit and invoke the Spirit’s graces and blessings. This is such an important feast that it is a holy day of obligation for us, and the day before it is kept as a fasting day. This is one of the days when converts are baptized, as a powerful sign of their deliverance from the world of sin and darkness and being brought into light and goodness. And it is meant to be a day of enlightenment for us. John baptized with water, and the crowds who came to hear him were so moved by his preaching that they confessed their sins, went into the Jordan river to be baptized, and emerged with the conviction to live differently. So for us – the excitement of Christmas is over, the season of Lent is a ways off. But that does not mean that Christian life and behavior is on vacation. Icons of St John the Baptist also often depict an axe at the base of a tree. This symbolizes the cutting down of all that is rotten and bad within ourselves through repentance. Drinking of the sanctified holy water is a symbolic act that we all partake of on this feast, but it is meant also to be a wake-up call, a reminder of our own baptism, a reminder to convert and change our lives. We do not have to confess our sins publicly but we are expected to live in a state of awareness of the ongoing need to change, to dig down into ourselves, to grab hold of a spiritual axe and cut out of ourselves the things that we know lead us into sin, or behaviors that we know are sinful. 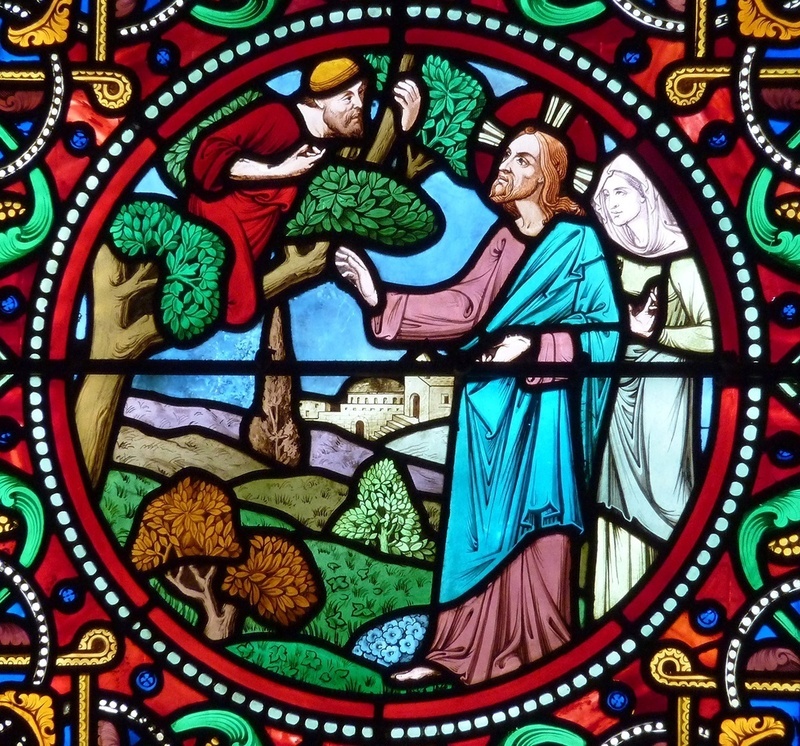 John warned the people who came to him that there was a judgment coming. Judgment Day will come for each of us – at our own deaths, and at the end of time. No one can escape it. We have been given the fullness of revelation through the Catholic Church, and we have been fed with the Bread of Life, some of us for a few years, some of us all our lives. Whatever the case, we are invited to make this day a day of both renewal and repentance, and to go forward in the power of Christ and the Holy Spirit, so as to grow closer to the Father and become holier on our own personal roads to paradise. Christ is among us. I always say that we continue to learn until death, and this feast is a good example of that. We commemorate Mary today as the Mother of God, the God-bearer, the Theotokos. I was taught in seminary that the word Theotokos was coined in 431 AD for Our Lady at the council of Ephesus. We now know that is not true at all, which is important both for ecumenical dialogue and for our own understanding of Mary. We now know that this word Theotokos, and all it implies, was in popular use very early on. The famous scrap of papyrus paper on which the prayer Sub Tuum Praesidium, Under Your Protection, was found has been dated to come from the 200s. We hasten to thy protection, O holy Mother of God; despise not our petitions in our necessities, but deliver us always from all dangers, O glorious and blessed Virgin. Amen. It is especially important because Mary is invoked as the Mother of God, as one who intercedes in heaven before God’s throne for us, and the prayer has the word “we”, which shows it was used in common worship. It is not a pious thought from one lost individual, but a prayer that was said in church, less than 200 years after Jesus’ resurrection. 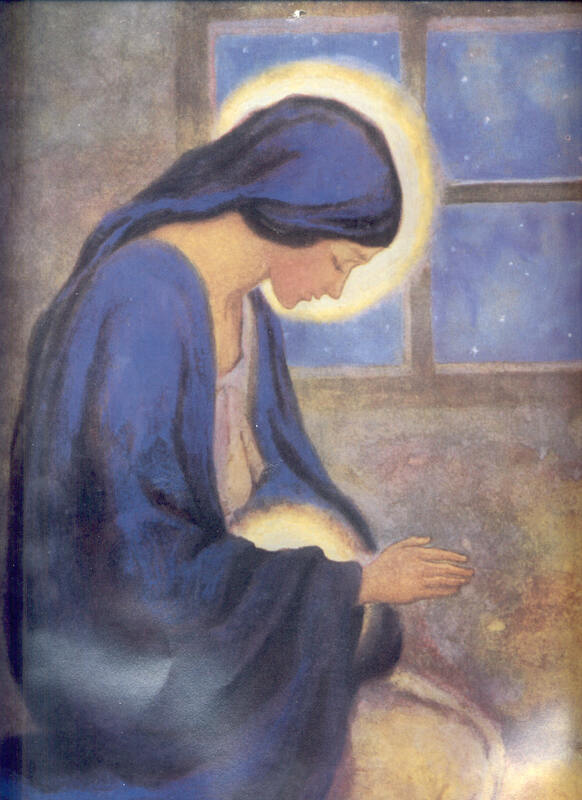 She is being honored for her role in our salvation history in Bethlehem, Egypt and Nazareth, the woman who carried God in her womb, the unique God-Man, fully divine and fully human, and who raised Him to adulthood. What does this divine maternity mean? It is much more than she carried Jesus Christ in her womb. It is rather that she lived as His Mother, and all the things that a good mother does for her child. It is important that she stands at the foot of the Cross when He dies – she is there from beginning to end, and then at the next beginning, as Luke tells us she is in the upper room when the Holy Spirit descends upon the apostles and disciples on Pentecost. Luke presents her in a special way. In the annunciation to Zechariah, Gabriel is angered that he, a priest, who should know the Jewish scriptures, doubts that God can give a son to him and his equally elderly wife. There are many examples of surprising pregnancies in the Old Testament. Mary on the other hand, converses with the angel in a very calm way, asking the right question, and then accepting God’s action in her. This shows us how she lived: in daily awareness of God, in close harmony with God, in the way that God intended us to live before the fall of original sin. She is not surprised, not frightened, not worried. She simply asks a common-sense question: how can this happen, as this was never something that happened in Jewish history ,a virgin conceiving? Gabriel tells her that the spirit of the most high ,the ruah elohim, will descend upon her. He uses the words used in Genesis for the creation of the universe, and Mary accepts, firmly and briefly and powerfully – let it be done to me according to thy word. “Thy” — she has a close friendship with Gabriel and with God. Word – It is the Logos, the Word of God, Who descends into her to become the God-Man inside her. Would that we would live in such harmony with God! We are distracted by so many concerns, from private ones to work to family to issues of the nation or world. But we are made to live with God, to visit with God daily like Adam and Eve in the cool of the evening in the Garden of Eden. We are made to be close to Him, and ultimately to be with Him for eternity. That is the divine maternity of Mary – she is not only the Mother of Jesus Christ, and therefore the Holy Mother of God. She is our mother, who was given to the entire Church on Calvary by Jesus Himself when He said to John, “Behold your Mother.” She is praised not because she carried and gave birth to Jesus. She is praised because she heard the Word of God and kept it – literally incarnating God’s Word in her womb, and incarnating God in her actions of love and care for Christ, for St. Joseph, for the early Church, and now for us still today. 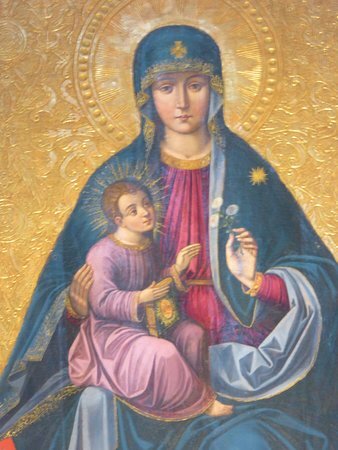 Tonight let us beseech the holy Mother of God to help us to live with God, to be with God, and to be able to not only visit with Him daily – in prayer, or Holy Communion, or both – but to live so that we will be able to be with Him forever.